for their personal needs and professional career. Not only can they sync their video inspirations or stories across all devices and share them friends and followers, but use a set of advanced 4Sync video sharing features, too. 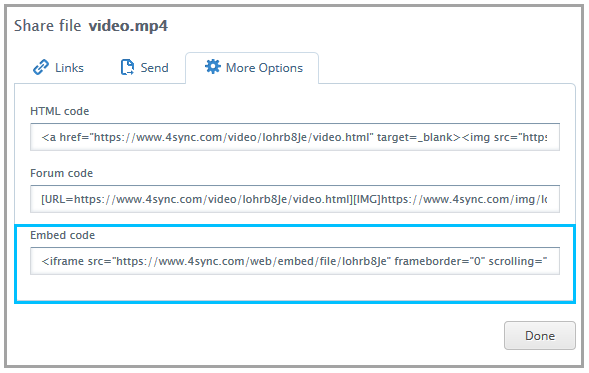 Namely, you can easily add videos from your 4Sync account to a website or blog for direct streaming, even in the full-screen mode – by embedding them! 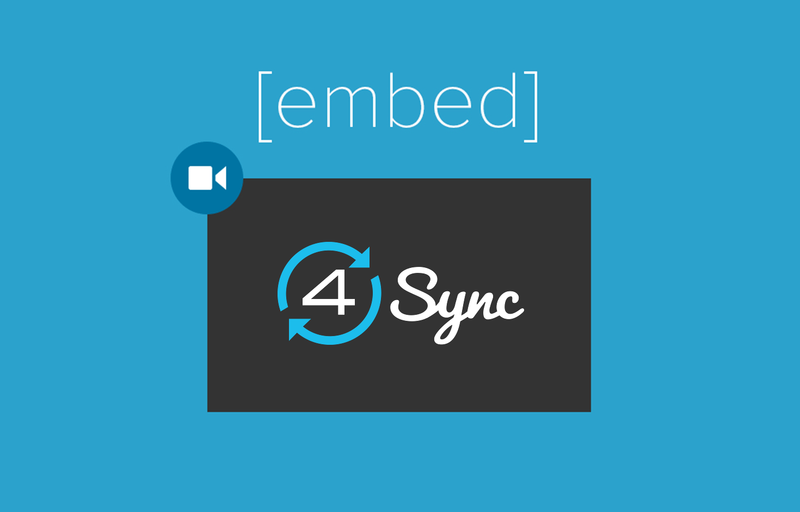 How to use a “Video embed” feature at 4Sync? 2. Right-click the video you want to embed. 4. Go to “Other” tab. 5. Copy the video embed code. 6. Paste the code into your website or blog HTML. Share your inspiration with 4Sync!